Modern hydronic heating systems are fast becoming the ideal heating method for many homes and buildings because of their ability to serve multiple loads. Just one heat source, in most cases a boiler, can serve one or several of these loads. The heat source in a hydronic heating system could include conventional or condensing boilers. Conventional boilers include boilers with heat exchangers made of cast-iron, steel or finned copper tubing. Condensing boilers have stainless steel heat exchangers and are designed to coax as much heat out of the flue gas as possible to the point the flue gases will condensate. If properly installed with low temperature hydronics, condensing boilers can provide efficiency above 95%. Call Butler Plumbing, Heating & Gasfitting today at (780) 432-3947 for expert Edmonton hydronic heating boiler installations and repairs. Your hydronic boiler system needs annual maintenance for continued optimum performance. Most systems suffer from neglect and only gets work done when there is a crisis. Regular maintenance can save you expensive repair costs later. Since 2005, Edmonton residents have trusted Butler Plumbing, Heating & Gasfitting to professionally install and repair their hydronic heating systems. We are extremely knowledgeable and experienced with all major brands of hydronic boilers, heating pumps, boiler controls, air eliminators, expansion tanks, mixing devices, relief valves, gauges, fill valves, and backflow preventors. 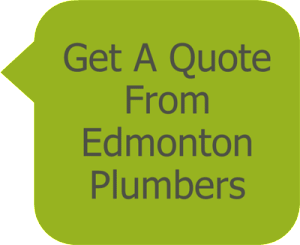 Our highly skilled Edmonton heating technicians inspect your property and provide you with a thorough and honest maintenance schedule, suggested repair, or installation quote. Customers who have warm floors agree it is the most comfortable heating system available. In-floor heating also provides a virtually dust free operation, which greatly improves indoor air quality. With warm floor, zoning is possible, and different room temperatures increase comfort and reduce operating costs. Radiant floor heating is sometimes referred to as in-floor heating or warm floor. Water or glycol is pumped through piping which is either embedded in concrete, or fastened above or below wood flooring. The result is an invisible heating system where floors and walls are left uncluttered and furniture can be place anywhere. Water temperatures are typically much lower than other types of heat transfer, which improves comfort control and reduces energy consumption. Call us now so you can also start enjoying the benefits of hydronic radiant floor heating.